The time has come to move on. A new JBC has been created that will be a little smaller in scale but still the same JBC you know and love. New staff members are needed and an open call to all writers has been sent out. If you would like to join just send a message to thejbc@gmail.com but hurry up positions are going fast. Vist the new JBC site! Just click the link below to go to the new JBC site that features new issues every week! The forum has finally arrived! So go ahead and sign up today. The registration is easy just tell the forum what name you want and you're signed up. The forum has many sections to suit your every need as well as new boards being added daily. Contests and information will be posted on the forums as well as news and updates. There are many fun sections where you can just discuss the Eds or even a place where you can discuss any topic you choose to. Dr. Eric also has his own board as well a general staff board. Don't just sit there and listen to me drone on click the banner for yourself and find out what the forum has to offer. Every week the JBC is bringing you a new music Ed video that we find out there on the net. This week we bring you "Experimental Film" By They Might be Giants. The author of the video is AnimatEd which was originally featured on Marvel-ed so enjoy. Check out pages from month's past. Go to the JBC Archive Vault to check old pages out. This forum is closed please join the new forum created. You'll find its better looking. We just opened it a day ago so feel free to join it. Welcome to the Jawbreaker Chronicle. This is a paper dedicated to the three Eds. Anyone can write an article for the chronicle. So go ahead and write one today. If you would like to become a staff member just go to the now hiring section. 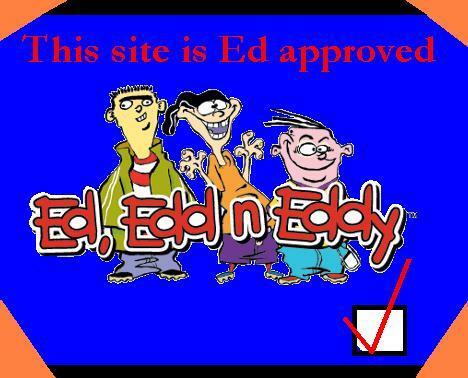 And remember this is a paper for the eds by the ed fans. You can check out the latest issue of the Jawbreaker Chronicle every week. 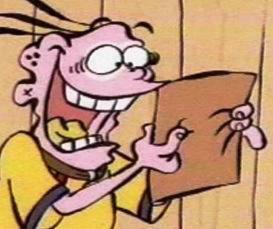 The chronicle is in need of articles about the Eds and the rest of the gang. Anyone can suggest topics in the suggestion area. The members of the site can go to our group page on yahoo to post their articles. But we really need some stories and if you want to become a member of the chronicle please email me at thejbc@gmail.com and please write JBC application so I don't put it in my spam box. 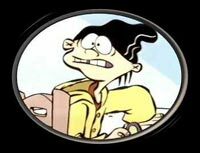 "This is a paper for the Eds by the Ed fans"
Click the button below to become a member of the Jawbreaker Chronicle Yahoo group!